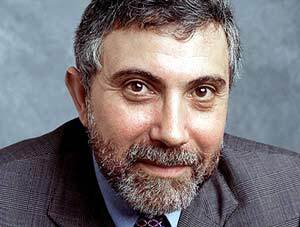 Last Sunday, on the 10th anniversary of 9/11, the Nobel Laureate, Princeton University Economist and NY Times columnist, Paul Krugman, set off a real political dirty bomb. Is it just me, or are the 9/11 commemorations oddly subdued. Now, I’m not sure I quite agree with everything Krugman said, but I found reactions to his remarks telling. I am always fascinated by the “religious” nature by which so many American conservatives treat their own patriotism. E. G. If a conservative Republican country singer wears a shirt made to look like an American flag, he’s a true patriot. If Michael Moore wore the same shirt, he would be strung up for desecrating the American flag. In the world of right-wing nationalism, criticizing your own country is an abomination, even though constructive criticism is what democracy is all about. What should happen, if a healthy 30-year-old man who can afford insurance chooses not to buy it—and then becomes catastrophically ill and needs intensive care for six months? LET HIM DIE! LET HIM DIE! Anyone who thinks the Republicans and the Christian right in this country own the “moral high ground” is delusional. Patriotism and religion cannot always camouflage greed, bigotry, xenophobia, provincialism, and selfishness. Previous Previous post: It’s Not “Christianity” It’s Just Hate; Let’s Treat It As Such!